One of you readers recently sent me an interesting link to a page of the blog of Fr. Joseph Komonchak. Fr. Komonchak has provided the original – but rejected – schemata for the Second Vatican Council. At some time you might peruse them and see what might have been, the Council that might have been. The “schemata” were documents worked up during the preparatory phase before the Council. Various schemas (schemata) were prepared on different themes. A few months before the Council opened, John XXIII had the First Series of seven sent to the Council Fathers around the world. Some bishops, especially the Dutch, under the inspiration of Fr Edward Schillebeeckx engineered a overturning of the order of consideration of the themes, pushing liturgy to the fore. Various liberal factions began attacking the schemata and issuing rival schemata. This book can help you understand what really went on during the Council behind the scenes. Subsequently, it will show you how certain factions now seek to control Synods. This entry was posted in The Drill, The future and our choices and tagged Fr. Joseph Komonchak, schemata, Vatican II. Bookmark the permalink. 8 Responses to “The Council that might have been…” but wasn’t. Is there a link to the schemata? They really should have kept the “Defending Intact the deposit of fatih” as that schema accurately anticipated many of the issues we are seeing today. I also thought the Christian moral order contained some prophetic notions particularly around cautioning the use of technology. That is so true particularly in our era. Theologically, the Council was the fruit of movements of theological renewal in the twentieth century: in biblical, patristic and medieval studies; in liturgical theology; in ecumenical conversation; in new, more positive encounters with modern philosophy; in rethinking the Church-world relation; in rethinking the role of lay people in the Church. 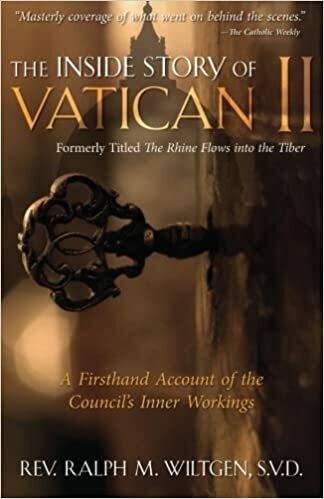 Most, if not all, of these movements had fallen under some degree of official suspicion or disapproval in the decades prior to the Council, an attitude reflected in the official texts prepared for Vatican II. There was real drama in the first session of the Council (1962) when those texts were severely criticized for falling short of the theological and pastoral renewal already underway. The leadership of the Council was transferred to prelates who were open to such renewal, and theologians who had been under a cloud for years were brought in as official experts. Fair criticism – in the 60s we began seeing that the secularizing tendencies underway since the French and American Revolution were, in fact, going to be a permanent feature of Western political life. Mass communication was beginning to bring many ideas out into the broader market place. In that sense, the emphasis on religious freedom was a good idea and the formation of conscience was important too. The Church had an important role to play in religious formation and Thomas was being rescued from a suffocating scholasticism all of these were and are positive developments. But it appears that the Council was just lopsided and important corrective voices were marginalized. That is always a big problem. Sorry to say but we do have to lay the blame on that to John XXIII and Paul VI..they had their bright spots but were not perfect leaders by any means.